Last Monday, May 18, St. Charles Borromeo Seminary’s Graduate School of Theology opened its doors for its annual commencement. Among other graduates were 27 students receiving a certificate from the Church Ministry Program. Those 27 students were part of the Spanish Track of that program being offered totally in Spanish by the Mobile Catholic Institute. They came from many parishes in the Archdiocese of Philadelphia: St. Helena, St. Veronica, St. Ambrose, Cathedral Parish, St. Cecilia, Maternity B.V.M. and St. Thomas Aquinas in Philadelphia; St. Albert the Great in Huntingdon Valley; Our Lady of Fatima Center and St. Mark in Bucks County; and St. Stanislaus in Lansdale. Twenty-one students attended the ceremony. To make it special, that is the very group that started the Mobile Catholic Institute, incredibly, three years ago already. 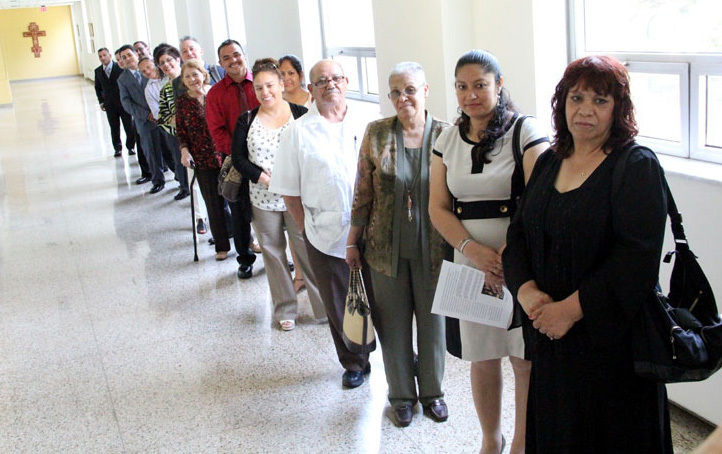 It was in 2012 when we were commissioned to bring to the parishes the Mobile Catholic Institute’s programs including Church Ministry, Quinceañeras, Pre-Cana and others. Back in 2012, as in the subsequent years, contact was established with the parishes and the pastors welcomed the program. 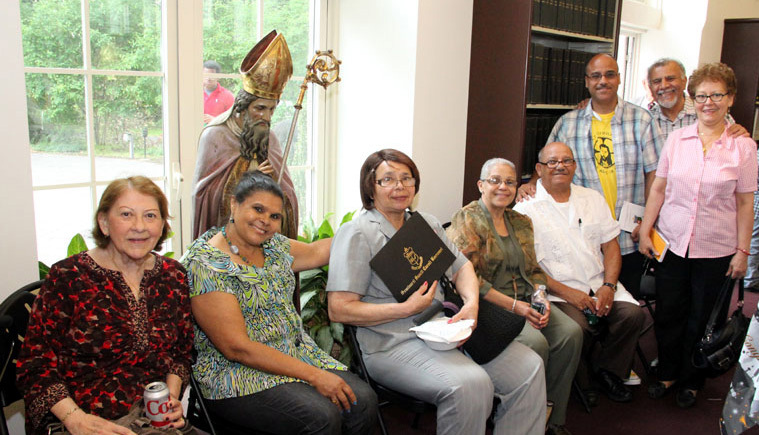 This past passed school year, the Institute had six sites where classes took place: St. Helena, St. Martin of Tours, Holy Innocents and St. Thomas Aquinas in Philadelphia County; St. Patrick in Chester County; and Our Lady of Fatima Center in Bucks County, with a little more than 100 people receiving formation classes in Spanish. We are very grateful to the pastors for their welcome. Monday, May 18, was the culmination of a year of the team effort of parishes, priests, religious sisters and lay teachers, and students committed to this program. Some of the pastors and instructors shared this special day with their students; we are very thankful to all of them for their support. The students that graduated are: Antonia Ávalos, Jorge Barillas, Maribel Benito, Angélica Burgos, Confesor Burgos, Araceli Cruz, José Luís Cruz, Lilia Domínguez Palacios, Alfonso García Reyes, Martha Gómez, Juan M. Lastra, Ruth Lastra, María López Ávalos, María I. López, Oscar López, Rigoberto López, Víctor Manzanares Zacariaz, Ernesto Martínez, Luís Raúl Oquendo, Adriana Pérez, Edith M. Quintero Bonilla, Enrique Ramírez, Gloria M. Ramírez, José Denny Rivera, César Augusto Tecu Sacol, Georgina Valdés, Elvira M. Zuazo. Our heartfelt congratulations to all of them! Blanca Herrera is coordinator of the Catholic Institute for Evangelization, part of the Archdiocese of Philadelphia’s Office for Hispanic Catholics.